The Loop-IP6750 (Modular Access 16E1 GE TDMoE) Device provides effective solutions for ISPs for building a network or cost-effective investment. Nowadays, the ISPs have to transmit the data streams of TDM and Ethernet packets, and the puposes could be easily achieved by using E1/T1 and Gigabit Ethernet console ports of IP6750. Futhermore, it supports P2P (point-to-point) and P2mP (point-to-multipoint) applications, the expension of networking is flexible based on enterprises’ demand. Apart from the operational elements, the ISPs must bulid the network based on the future demand. When it’s about time for upgrade, the software upgrade with hot-pluggable cards will be beneficial for current network to be transferred into packet-exchange network architecture and other demands. IP6750’s able to be operated with the temperature range -0° to 65°C (-4° to 140°F). 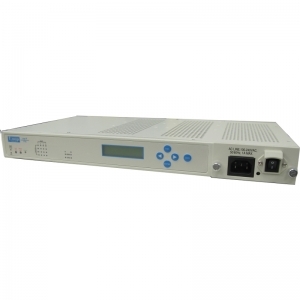 And it supports multiple protocols, such as SFTP, HTTP, MEF-8 CESoETH, SyncE, IEEE1588v2 Precision Timing, G.8031 Ethernet Linear Protection Switching and RFC2544 standard. The outstanding endurance and performance of IP6750 can definitely satisfy ISP’s SLA (Service Level Agreement) needs, and it’s obviously a critical element for building such networks. This model had four E1/T1 Ports.